Effortlessly demonstrating classical elegance and contemporary grace, the Isabelle Victorian style bedstead and headboard are the perfect choice for any traditional or contemporary bedroom. 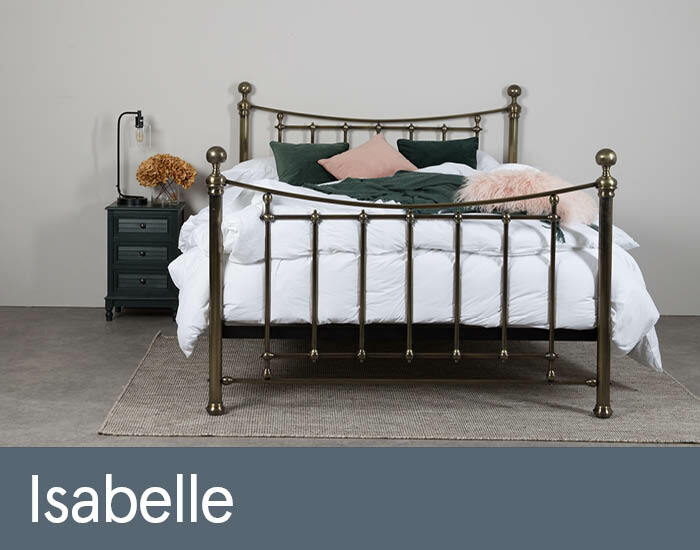 The Isabelle bed boasts a gorgeous Victorian style metal structure, which is beautifully finished in either an antique brass or brushed nickel finish. Perfectly round bed knobs complete the Isabelle metal bed and reinforce the vintage style. These stunning bedsteads and headboards are available as either a double or king size and will make a charming addition to any bedroom.